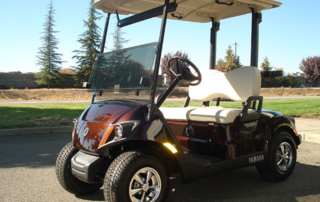 Gilchrist Golf Cars is the authorized Yamaha dealer for the greater Sacramento area. 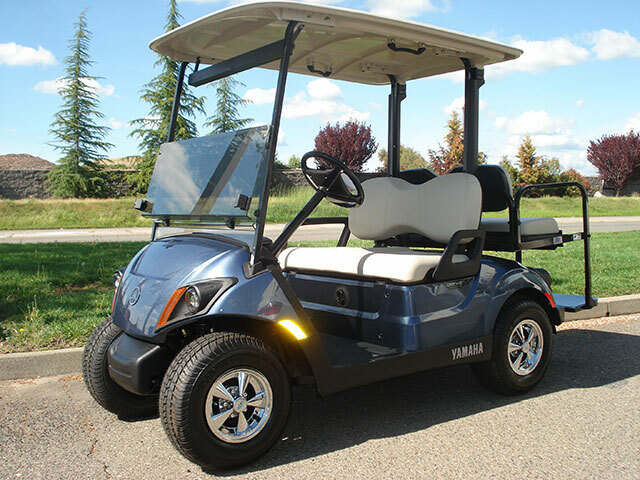 If you are looking for a new golf car, PTV, Concierge transportation or UMAX utility car, our Yamaha line is the easy choice when luxury, performance and value matter. 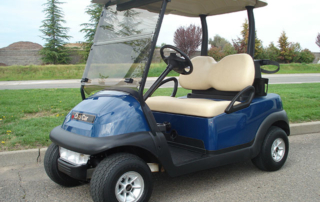 Our reconditioned cars are an excellent alternative to purchasing a brand new Club Car. 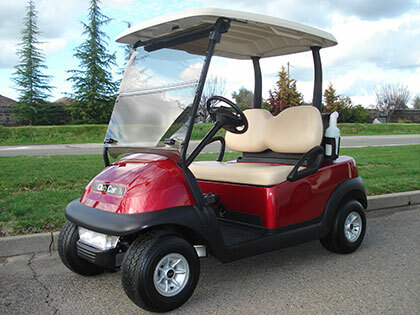 All of our reconditioned cars go through a rigorous testing process before being offered for sale, and financing is available on Club Car models 2012 and newer. 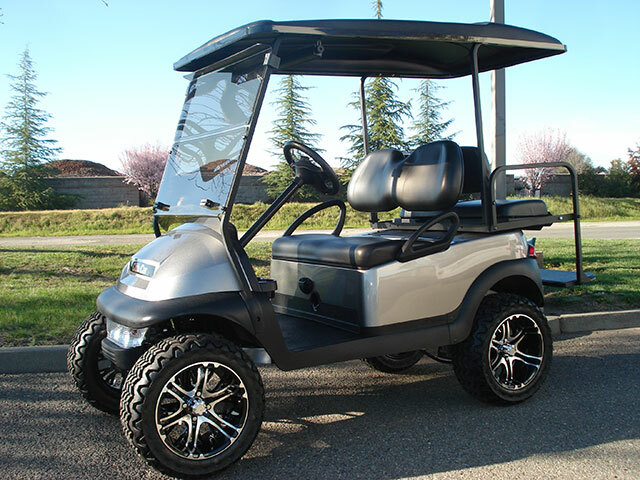 Gilchrist Golf Cars is the greater Sacramento authorized dealer for the street-legal Club Car NEV (low speed vehicle / neighborhood electronic vehicle). The zero-emissions Villager NEV comes in two models, a 2-passenger and a 4-passenger model with back to back seating. 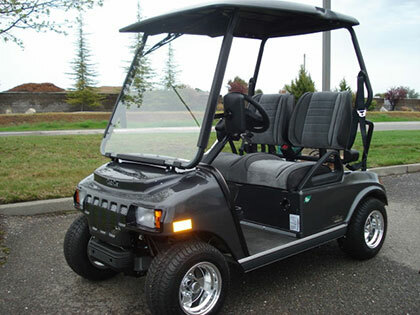 Gilchrist Golf Cars offers a large variety of new, used or refurbished golf cars and carts, electric or gas, and parts, accessories, rentals, enclosures, and service. 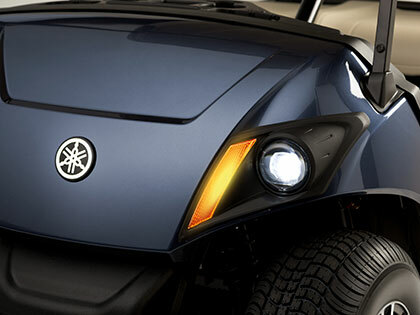 We take tremendous pride in building the most reliable golf car you can find on the market. We know how important it is to have your car operating correctly, and we make every effort to make that happen. 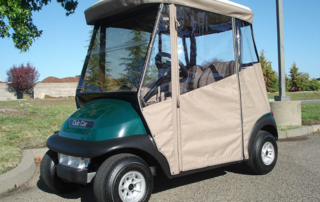 Whether you are looking to purchase a cart for the first time, trade in your golf cart in order to upgrade, service or repair your existing cart, or schedule a rental for an event, Gilchrist Golf Cars is eager to provide you our excellent customer service. If you are an existing customer, thank you, and if you are considering us, please stop by or give us a call. We know you will be pleased you did. 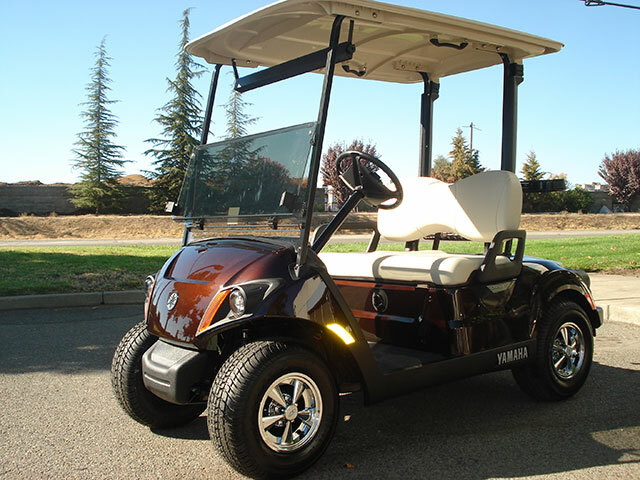 We are conveniently located in Rocklin, Placer County, and offer golf cart rentals in the Sacramento Metropolitan Area including Carmichael, Citrus Heights, Elk Grove, Davis, Fair Oaks, Folsom, North Highlands, Orangevale, Rancho Cordova, Rocklin, Roseville, Yuba City, and Woodland. 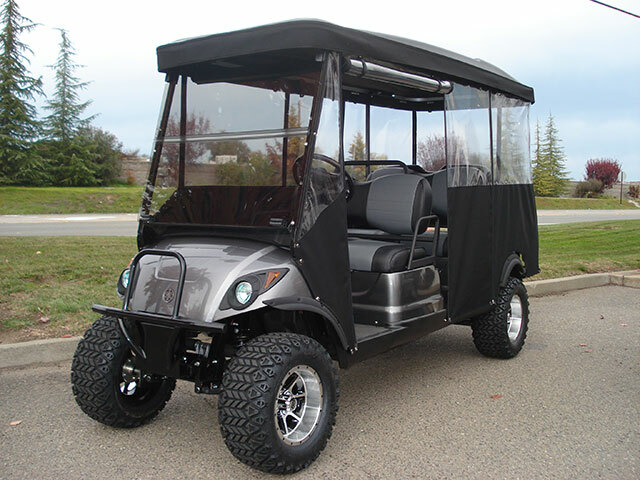 Club Car builds the most reliable, durable vehicle in the industry, whether it is the street-legal Villager NEV or the Precedent. They also offer the best warranty in the business backed by the world’s largest manufacturer of small-wheel electric vehicles. 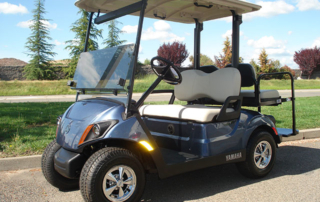 We encourage you to stop by our showroom to take a test drive and experience the Club Car difference. 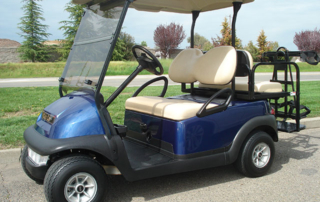 Our partnership with Yamaha allows us to offer a full line of new golf, transportation, and utility cars to go along with our extensive inventory and experience with used and reconditioned golf cars. Over 60 years of precision engineering and technological innovations come together to create Yamaha’s most beautiful and luxurious product to date. Our reconditioned cars are mostly the Club Car Precedent model, and are an excellent alternative to purchasing a brand new Club Car. All of our reconditioned cars go through a rigorous testing process before being offered for sale. A full service is performed and all worn parts are replaced. All reconditioned cars come with a charger. Peter was working that morning and couldn’t have been more helpful. He was cordial, engaging, and knowledgeable, all while help three or four other customers. My wife knew exactly what she wanted, and he helped put it all together. Peter is a wonderful addition to your staff, and we just wanted to make sure you know how special he is. He sold us the golf cart, it didn’t sell itself. Just wanted to get back to you and say Thank You for the awesome golf car. My wife was very happy, it was her birthday present. It is in great condition for a used car, and you did a nice job with servicing it, etc. It runs great. 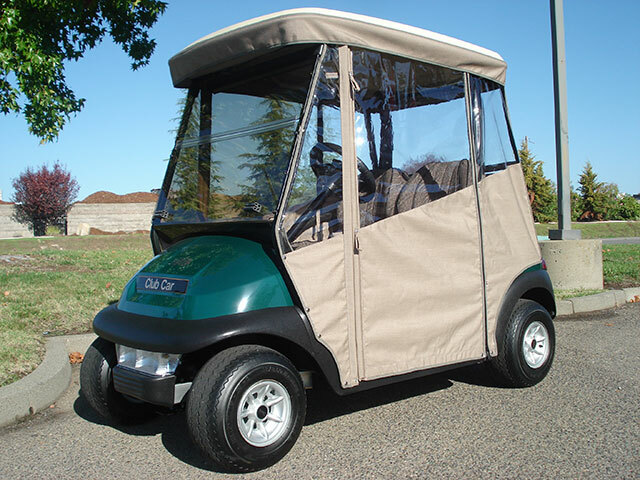 Gilchrist Golf Cars is an exceptional Co. to work with. The equipment is spot on! & exceptional to use in any business or form. Great people & “old school” approach to the customer & clients. Can’t recommend them highly enough, a lost art in the business world today!! Call them, you will not be disappointed! 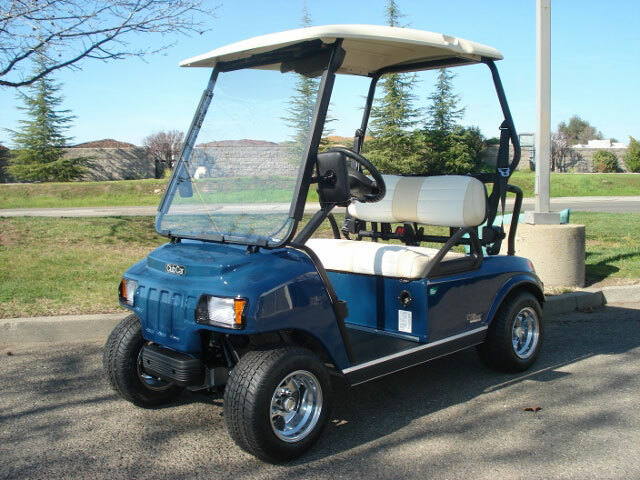 I just purchased a Yamaha AC powered golf cart from the folks at Gilchrist and they are top notch. The buying process was low pressure and resulted in an honest price … All in all a great buying and service experience. I have used Gilchrist for several years now and today was the primary reason why….My cart lost power yesterday and Pete from Gilchrist came out, diagnosed the problem, fixed it and since the battery was under warranty, I was not charged….Again, great service and professionalism. Mr. Gilchrist, Your employees, Pete & Steve, came to my home today for a regular service call. I can’t tell you how much I appreciate them finding a problem, fixing it, and not taking advantage of me. You will be my service provider from now on, and I will highly recommend your company. Working with Derek is a pleasure; he is always sure to ‘listen’ to the customer and their needs, then he suggests and recommends what may suit your needs best. The customer service that Derek utilizes is what makes me continue to use his company. Now all our Sister Properties in town use his company as well. Thanks Derek! 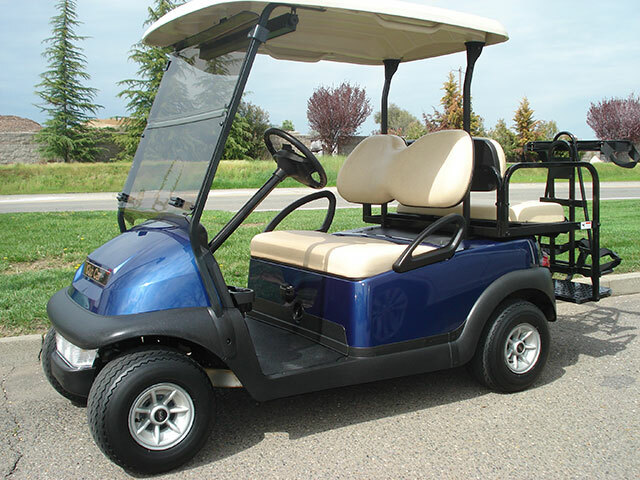 I have owned a refurbished car for several years and really believe it is the way to go on a personal golf car. I live in Lincoln Hills and had trouble making the hill from my house to the club house. I started my research and found that out of all the dealers in the area, Derek was most helpful in making the deal happen. I loved the previous car I had, but it simply did not have enough power. Derek actually made the transaction so easy, and it is a pleasure to recommend his company. 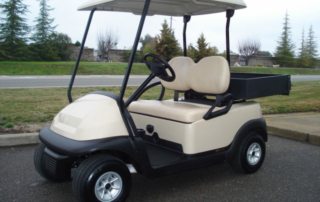 He is a former golfer on the tour and understands what is important to golfers and their personal golf car. 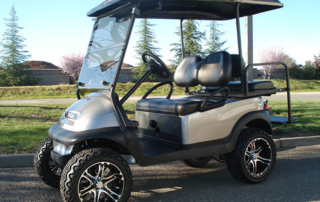 I wanted to let you know how much I enjoy my refurbished Club Car. My family & friends can’t believe that it’s a refurbished car. They all say it looks brand new! 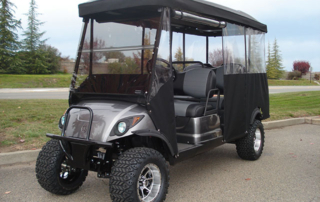 When looking for a late model refurbished golf cart, we first went to Gilchrist Golf Cars and saw what they had to offer. Although impressed, I felt we should do due diligence and check out other vendors. 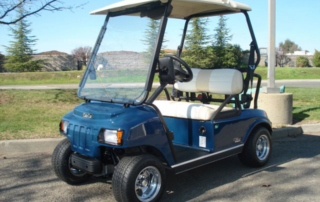 After driving around the area and visiting five other places, we returned to Gilchrist and purchased our golf cart there for three reasons, quality of what we saw, price and customer service and support. Just wanted to let you know how happy Howard is with the golf cart. He is acting like a little kid on Christmas Day. Thanks for the great service! Hello Derek, Just a note to say thanks for all your help in the purchase of our Precedent. We got used to the modern accelerator pedal/brake system quickly and really like it. 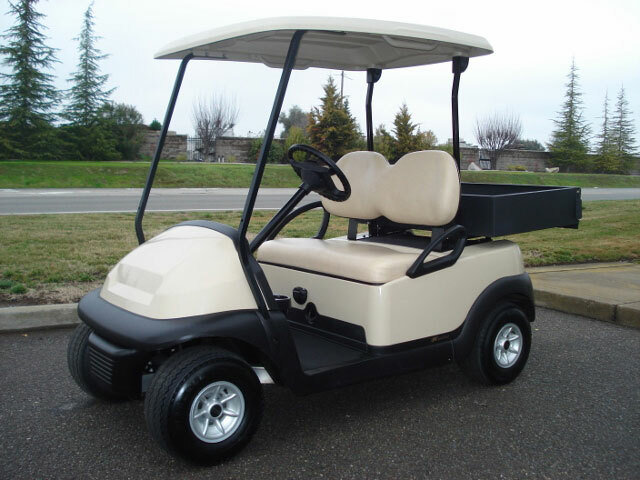 Derek and Tom, thanks so much for all your help in finding and purchasing a golf cart. It is a pleasure doing business with such professional people. I will highly recommend your establishment. Thanks Again. I just wanted to send you a big “Thank You” for the new tires on my cart. The ride is incredibly smooth and way better than the others. If you want to ever include ‘satisfied’ customers in an endorsing advertisement, please include my endorsement of not only your professional service, but great follow-up. Thank you. Last night, we took the cart around the neighborhood for the first time…We were very happy with the improved speed and performance. Thank you and your friendly staff for the excellent customer service. 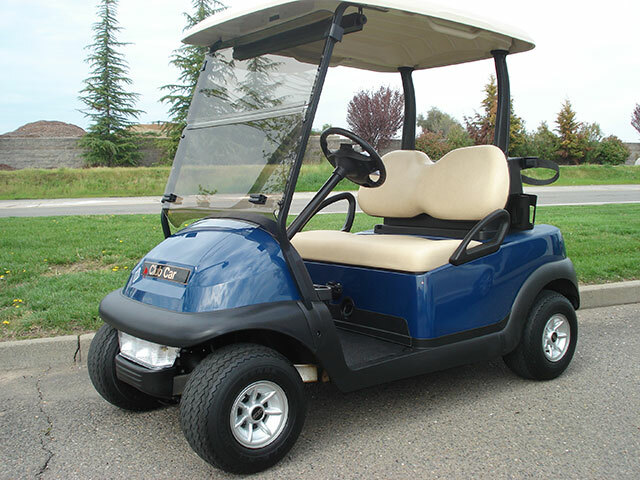 We’ll be sure to recommend your company to our friends here in Roseville Sun City & Lincoln Hills Sun City if they need cart servicing or a new golf cart. All went well. Your driver was exceptional, answered all my questions and covered all the details. Been a pleasure doing business with Gilchrist and will recommend you guys highly. Please stop by or give us a call. We know you will be pleased you did.